We care! A lot of people care!!! 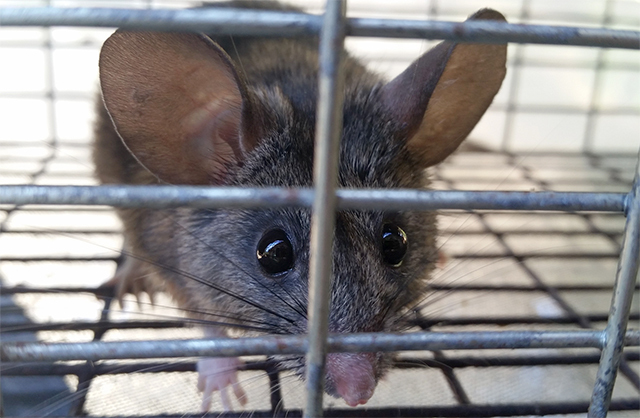 We were rodent-proofing a home in Carmel Valley, shoring up the exterior, making sure no more rodents could get in, and then live-catching the ones that were left inside the attic, when we discovered a new (new to us) species of mouse - a brush mouse! Just adorable!!! Finding this native mouse, along with a couple of non-native roof rats, made me wonder how pest control companies determine the species they're killing when they set out poison, BECAUSE rodenticide labels specify which species the poison can be used to kill, and, per the Department of Pesticide Regulation, the label is the law. 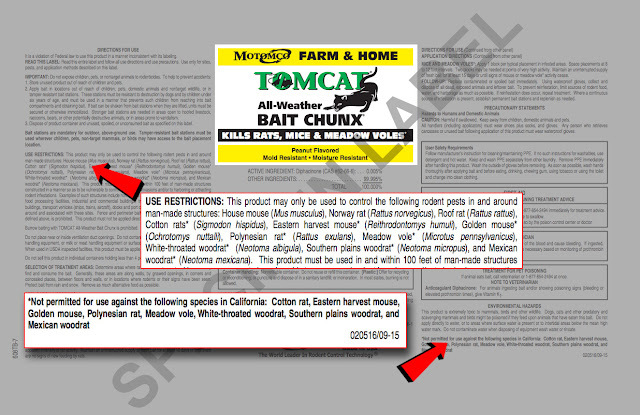 As you can see, in this label the target species are named - but so are species that should not be targeted by this product in California... they're marked with an asterisk. So, I was curious how this would be handled by the agencies that regulate and enforce pesticide use. How do they ensure non-targets - like the native brush mouse - aren't harmed? I started by calling the Structural Pest Control Board Enforcement Unit - they kindly directed me to the Monterey County Agricultural Commissioner's Office and after explaining I was intending to write a blog post about this and wanted to interview someone, I was transferred to Deputy Agricultural Commissioner Ken Allen. What was his response to my concern that native species might be killed by use of rodenticides aimed specifically at certain non-native species? He tried convincing me that native species have their own niche and would probably not likely be around residential areas and in homes. But, the most memorable comment was his response to my concern that, unless pest control operators do their due diligence and make sure there are no native species present, then native species, like the brush mouse, will be poisoned. To which he replied, "Who cares!" Mr. Allen, we care. Californians, care. The conversation degraded from there and he postured, neither he nor anyone from the Commissioner's office would be interviewed on this subject.